Overall, this shampoo, conditioner and leave-in treatment left my hair soft, silky and even a little curly without making my hair look greasy and without all that moisturizing stuff irritating my scalp. The Triple Repair Fortifying Shampoo is formulated to fight split ends and make hair stronger. It's thick and almost greasy, like a conditioner. It doesn't work into much of a lather, but it did make my hair clean. This shampoo alone would leave my hair as soft as shampoo + conditioner. Full disclosure: Split ends have never been a problem for me, but my fine hair is a little dried out from coloring. The Triple Repair Fortifying Conditioner is a rich and creamy conditioner that adds extra softness without weight. It also doesn't leave my dark blonde hair looking dirty. The Triple Repair Fortifying Leave-In Treatment is the one I was most worried about because my hair is pretty fine and gets weighed-down by products easily. The treatment isn't bad. It adds texture to my hair, for sure, but not enough to make it look greasy. Of the three, this is the one I would ditch first because I really don't need it. It does offer heat protection up to 400 degrees, so that's a bonus if you use a curling or straightening iron. 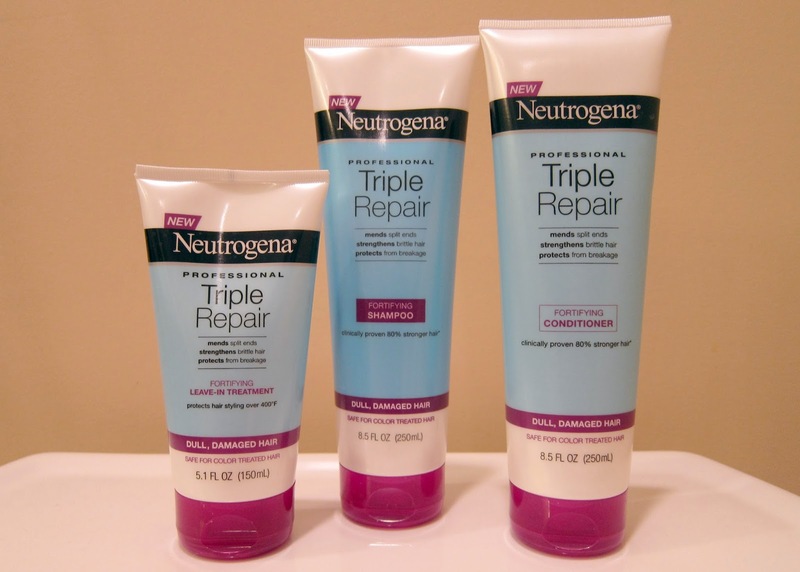 CHECK IT OUT: You can find these Neutrogena products in just about any grocery store or drug store.